(OT) Anatole Kaletsky: "Realpolitik in Ukraine"
Ukraine sent 23 athletes to the Paralympic Games in Sochi, Russia, but only one man participated in Friday's opening ceremony. That man, biathlete Mykhailo Tkachenko, was met with a thunderous ovation when his country's name was called during the parade and he entered the stadium. 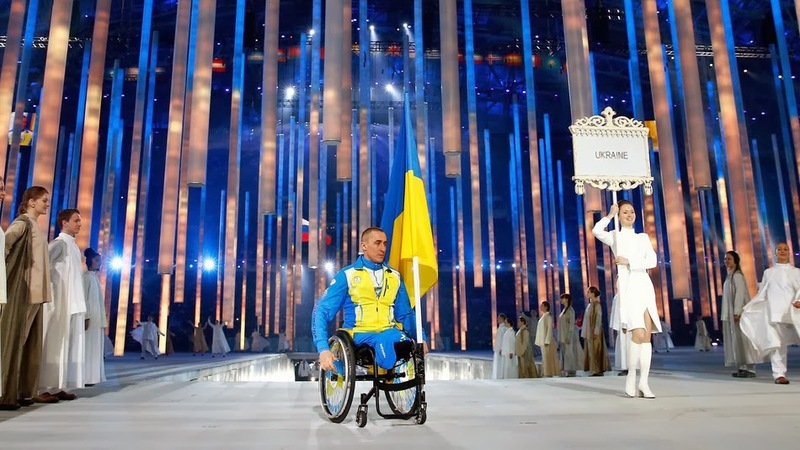 Unlike athletes from other counties who marched with beaming smiles and waves to the crowd, Tkachenko completed the parade around Fisht Stadium with a solemn expression on his face. ...Ukraine decided at the last minute to participate in the Paralympic Winter Games in Sochi. Although the U.S. sent 80 athletes to the games, it refused to send presidential delegation. As for Russia, its athletes chose "Goodbye America" as its entrance song for Friday's opening ceremony. If only Putin could stand for and win the Presidentuality of the USA,then these Americans could feel American again for the first time in two centuries. If so, that would be an excellent demonstration of tactical sockpuppetry ranking up there with "telePHONY" Pauli's thumbing his nose at obeisance to the Constitution. As it may be virtually reality Rule by Sockpuppet is celebrated worldwide, set by prerogative in the moment, and obviously, "salvation by marriage within and with-out types" is a sham. You do realize that your post makes absolutely no sense? Come back when you can post a relevant post with something to say to us, and step out from behind "Anonymous". That would be a good step forward. You do realize that your self-appointed "mission" to dissuade the world's population of thinking of Americans in the way the first commenter presented is childishly absurd? So absurd, in fact, that it calls into question any group that would even conceive of such a mission as worthwhile, yet you are doubtless proud of. "Darth" you call yourself, yet it is the nature of the keyboard internet to re-name yourself every time you hit those keys with yet new adjectives applied to your absurdity-core identity? Insisting on an absurdity-core identity would be a step backward, every time, until you awoke sufficiently to understand that you're presenting yourself in reverse? But, of course, with a name like "Darth" .. perhaps you suggest "yourself", every time, and that IS the extent of your wit. Long long ago, I got interested in quality computing, UNIX and the likes, Gnu-Linux, and found this " your computer is your friend " philosophy.